1. Cook Macaroni as instructed on package. 2. To make white sauce use a medium size pot and melt butter; remove from stove. 3. Gradually add flour and seasonings to melted butter until it forms a soft ball. 4. Add back to stove top at medium temperature and add milk to butter and flour mixture stirring constantly until sauce is formed and spoon becomes coated. 5. Remove from stove and add cheese to melt through the white sauce to make cheese sauce. 6. 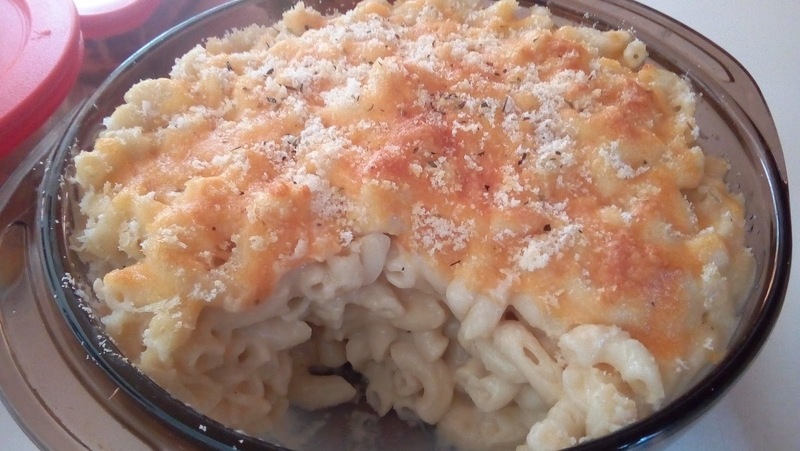 Add Cheese Sauce to cooked macaroni and blend together. 7. Pour into a greased 2 quart Pyrex dish. 8. 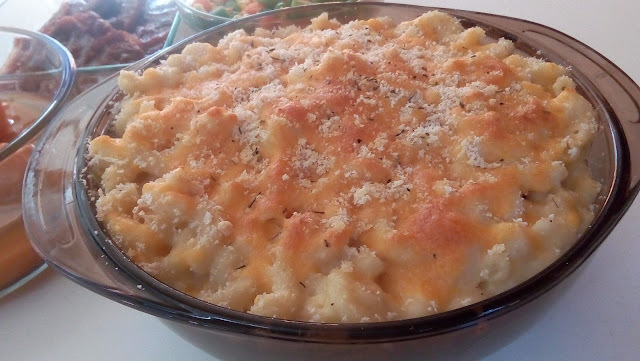 Top with cheddar cheese and bread grated to crumbs. 9. Bake in 350 degrees oven for approximately 20 minutes or until topping melts and is lightly golden brown. Many options can be added as additional to your choices and desires such as more cheese or cheeses, meats, vegetables, herbs, seasonings, garlic, etc.